Enviro-Care Pest & Termite Control, based in Orange, Calif., has acquired the pest control side of business of Mighty Bug Exterminators, Anaheim, Calif. Terms were not disclosed. The takeover marks the fourth additional business purchase by Enviro-Care. 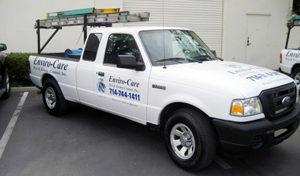 Although Enviro-Care has been in business for more than 20 years, it was purchased in 2014 by Orange County entrepreneur Edward Carter and has grown exponentially since then.